Obesity is a disorder of body weight regulatory system which is characterized by an accumulation of excess body fats in the body. It results when energy intake exceeds energy expenditure. The current abundance of food has encouraged people to eat more. This in combination with less physical activities in industrialized societies has resulted in a tendency for sustained deposition of body fats. The prevalence of obesity increases with age. Due to increased adiposity, the risk of diseases such as hypertension, diabetes, and cardiovascular diseases has increased. The amount of body fat is difficult to measure directly and is usually determined by indirect measures, the body mass index; it is the weight in kg divided by height in meters squared. The healthy range for the BMI is between 19 and 25. Between 25 and 29 BPI, people are considered overweight and equal or greater than 30 are obese. The anatomic deposition has shown a major effect on associated health risk. Excess fat accumulation in the abdomen is called apple-shaped obesity. 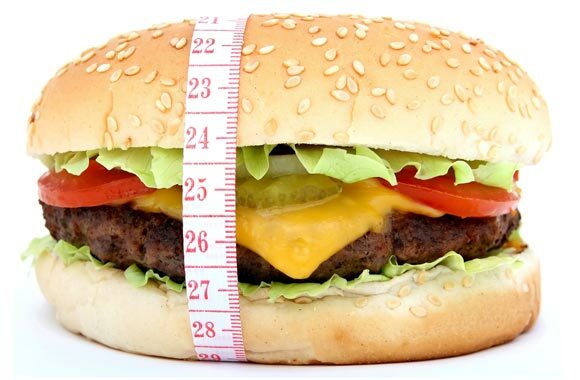 This obesity is associated with hypertension, insulin resistance, diabetes, dyslipidemia and coronary heart diseases. In contrast, fat accumulation in the hip is called pear-shaped obesity. The cells of the abdomen are much larger and have a high rate of turn over than lower body fats. Because men tend to accumulate more mobilized abdominal fats, they generally lose weight more readily than women. Body weight tends to remain stable as long as the behavioral and environmental factors influencing the energy balance remains constant. In spite of widely held belief that obesity is due to uncontrolled gluttonous eating, it is now proved too that genetics also play a major role in determining body weight, rather than a lack of willpower. For example, obesity is often seen clustered in families. If both parents are obese there are chances of about 75%, their children are obese. Obesity behaves as a complex polygenic disease which involves interaction between multiple genes and environment. Environmental factors such as the ready availability of palatable, energy-dense foods play a role in the increased prevalence of obesity. Further sedentary lifestyles, encouraged by watching TV, automobiles, computer usage, and lots of other energy sparing devices in the workplace and at home enhance the tendency to gain weight. Hormones of adipose tissue such as leptin, adiponectin, and resistin lead to obesity. The adipose tissue is the site of fat storage but it also functions as endocrine cells which release these hormones. Ghrelin a hormone secreted by the stomach is the appetite-stimulating hormone. The predominant effect of obesity includes dyslipidemias, glucose intolerance and insulin resistance, expressed primarily in the liver, muscle and adipose tissue. Dyslipidemia: Insulin resistance in obese people leads to increase production of insulin in an effort by the body to maintain blood glucose level. This results in increasead levels of fatty acid which are carried to the liver and converted to triacylglycerol and cholesterol. This is called dyslipidemia. Metabolic Syndrome: The abdominal obesity is associated with a threatening combination of metabolic abnormalities that includes glucose intolerance, hyperinsulinemias, increase LDL and decrease HDL etc and this clustering of metabolic abnormalities is known as metabolic syndrome. Surgical treatment which reduces food consumption.